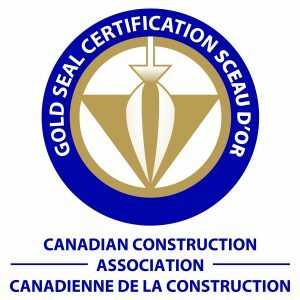 The Canadian Construction Association (CCA) Gold Seal Program is a national certification program based on a candidate’s education, experience and their ability to satisfy rigorous standards. Gold Seal certification can be obtained in the following occupations: project manager, estimator, superintendent, safety coordinator, owner’s construction manager and foreman. The Gold Seal Certification program was created by the industry for the industry. It has quickly become a standardized program supporting the development of skilled and serious Construction & Heavy Civil management professionals across Canada. Learn more about Certification Streams. For the 2017-2018 training season, CANS is offering 61 Gold Seal accredited courses.CANS is focused on bringing the highest number of offerings to our program. The Gold Seal Certification signifies that individuals have attained a nationally recognized level of experience and competence.